Captured: Chief of Sicarios, "El Greñas", from "Los Aztecas", who hid in Aguascalientes, Ags. 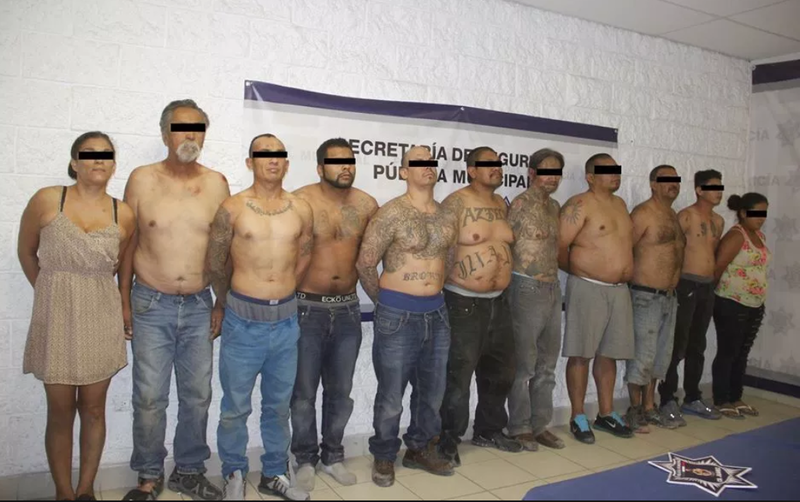 Agents of the Ministerial Police led an operation this morning in which they managed to capture a subject that has been identified as the Chief of Sicarios, ie, Head of the murderous hitman team of the criminal organization "Los Aztecas" and which has its headquarters of operations in Ciudad Juárez, Chihuahua. This is David Velasquéz Ramírez alias "El Greñas" or also known as "El Grandote" and which is known to have his address on Napízaro street of Fracc La Ribera, Aguascalientes, Aguascalientes. 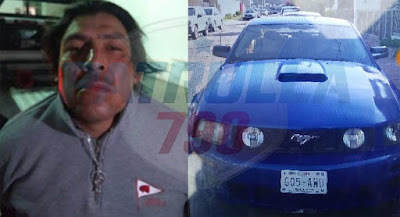 The ministerial agents detected at 06:00 in the morning on the avenue 16 de Septiembre in the Colonia Puertecito de la Virgen a blue Ford Mustang in blue with Mexico City license plates. After undergoing a review of its occupant, it was initially identified as IGNACIO LEONEL MONTOYA LUNA, but during the interview he fell into several contradictions and even forgot the name he originally gave until he finally confessed that his name was David Velasquéz Ramírez. During the review they found a short weapon as well as useful cartridges for said weapon as well as false identifications. When entering his data to the system Platform Mexico it was verified that an order of apprehension in his against turned up by authorities of Chihuahua, reason why at the moment it is in the office facilities of the Ministerial Police while the process for that entity is being carried out. The Secretary of State Public Security stopped David Ramírez "N" Ramírez, here on Tuesday, considered an operative head of the cartel of the Aztecs, in the state of Chihuahua. The detainee is accused of murdering four ministerial policemen in that entity, as well as of participating in various clashes in which at least 14 police officers were injured. I knew this guy. He was from El Paso Juarez area. The called him greñas because he was a barber. Big guy. Really loud. But really cool. He was a really friendly guy 10 years ago. 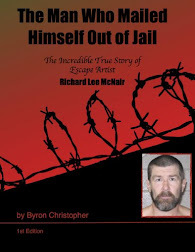 He was locked up in New Mexico. Feds. He is not a criminal. The criminals are the current government. Cd Juarez Mayor Armando Cabada who is the current leader of the Juarez Cartel. He is in charge of the current drug routes and has the local police under his aide. Another criminal is the newly elected president AMLO whom is basically the Mexican Hugo Chavez. 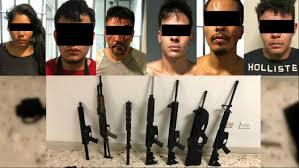 Ricardo Realivazquez is also a criminal and everyone who is part of the local and state police in Ciudad Juarez. Almost impossible. Maybe take there money out and leave them as a street gang with no power. But they are deep deep in Juarez and El Paso. I think this was an error by La Linea to allow a break up. Weakens them and makes old friends new enemies which is extremely dangerous. Hince the extreme violence. That's a big gang, including a lady. Jail is packed soon, they will be out, committing more crime. He is only Jefe de Sicarios for one cell right? 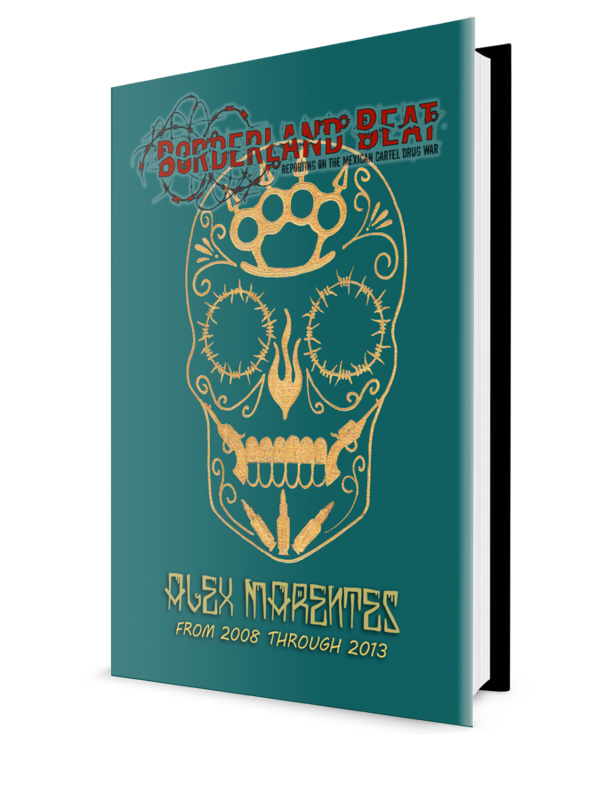 I thought Aztecas split up into different groups/cliques? La Linea paid more money. LMAO “Chief” “Headquarter” more like illiterate drug addict uneducated jobless loser. Most of them don't. That's what interesting? Like many day to day illegal activities for one to eat from. This could be you if u do not apply yourself to ur potential. Perfect posterboard for all to see. Like everywhere in the world. Not just Mexico.